Ace Indian discus thrower Vikas Gowda got a morale booster ahead of the upcoming Asian Games as he finished overall fourth in the prestigious IAAF Diamond League Series to pocket $ 3,000 prize money. The United States-based Indian, who won a gold in the recent Commonwealth Games in Glasgow, collected two points by virtue of finishing second in the season opening leg in Doha on May 9 with a throw of 63.23m. His second best finish was a fifth in Birmingham leg on August 24 with a throw of 62.78m. World Championships silver medallist Piotr Malachowski of Poland finished overall winner and ran away with $ 10,000 prize money, while world and Olympic champion Robert Harting of Germany was second ($ 6,000) and Gerd Kanter of Estonia was third ($ 4,000). 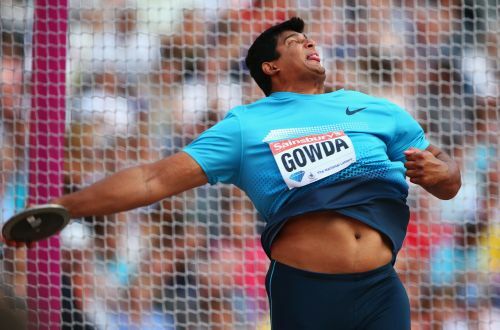 The 14-IAAF Diamond League Series, which ended yesterday in Brussels, had men's discus throw on seven occasions and Gowda took part in five of them. The best effort by the 31-year-old Indian in the top flight event though was a 62.78m. He has a season's best throw of 65.62m at Tucson in USA in May. Iranian Ehsan Hadadi, who is expected to be Gowda's main competitor for a gold medal in the September 19-October 4 Asian Games in Incheon, South Korea, competed in three Diamond League legs with a third place finish in New York on June 14 with an effort of 65.23m being his best. 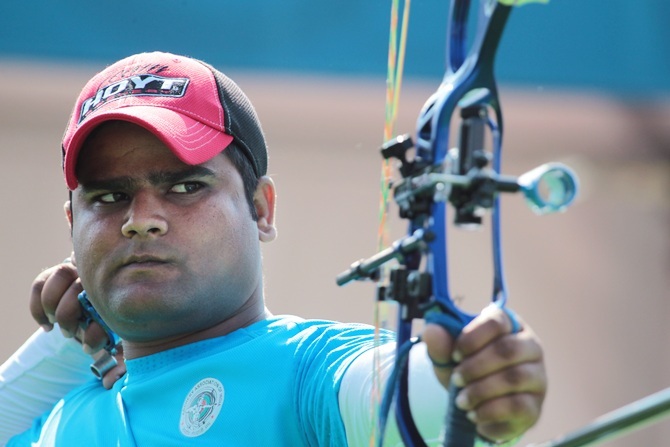 Lone Indian hope Rajat Chauhan lost to Pierre Julien Deloche of France by one point (145-146) to make a quarterfinal exit in the Archery World Cup Final in Lausanne on Saturday. Chauhan, who was the first Indian compound archer to have qualified for the showpiece event, led 117-116 after four ends. But the Rajasthan lad conceded the lead in the final set of arrows after firing a poor 28 against the Frenchman's 30 for the heartbreaking loss in the opening round. Based on their cumulative scores over four stages of the World Cup, the top eight in each category had made it to the Finals. Finals, Deepika Kumari failed to make the cut after a miserable start to the season as compound archer Chauhan was the only Indian contender. Chauhan qualified by virtue of being sixth in the rankings.